For anyone who isn’t quite sure what domain names are, they are the internet address for a website, the name you type into your browser which links to the website you want to view, and they look something like this: “http://www.yourwebsite.com.au”. You don’t actually buy domain names. You register them for a period of time, usually one to two years, and of course you need to renew the registration if you wish to maintain use of the domain name. There are countless companies who are in the business of selling domain name registrations and it’s a good idea to shop around as there can be a significant variation in pricing. It is usually a smart idea to register your domain name through your server hosting company ( the company who provides the account where your website is, or will be ). Your domain name and server hosting is then invoiced from the one place which can simplify the annual or bi-annual renewal process for you. Your hosting company will remind you when your account is due for renewal. The importance of selecting a domain name which helps potential customers to find your website through a search engine should not be under-estimated. If your business has competition, which most do, the need for your website to be easily found should be a major priority for you. It’s a fairly common misconception that you automatically have the right to register a domain name because you have that company or business name, or even a registered trademark, but actually this isn’t the case. Nobody has the automatic right to a domain name. Domain names are licensed on a “first in, best dressed” basis. You should check that the domain name you want is available by visiting the AusRegistry website: ausregistry.com.au. You should also be very carefully to ensure that the domain name you want won’t be infringing on a registered trademark. There could be very costly repercussions for your business if you fail to do so. You should carefully research whether there are existing websites using similar domain names or the same domain name with a different suffix (.com, .net.au etc), to the one you want to use. These websites will already have search engine ranking and may be found by people before they find yours. That’s not good for business! What if the domain name which matches your business name isn’t available? consider something which connects the name to your business, such as an event that you organise, a key product you make or a service you provide. register more than one domain name – you might like to create separate domains for associated products or services. 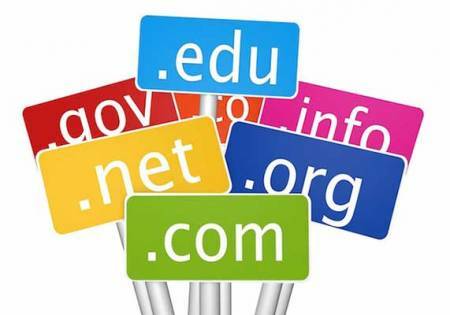 There is no restriction on the number of domain names that may be licensed by a registrant. Information, rules and guidelines are available online on the auDA website: auda.org.au. This information can help you determine your eligibility for a ‘.com.au’ or ‘.net.au’ type of domain name, which are the two types of domain names appropriate for commercial entities in Australia. Other types of domain name are available for individuals, associations or for non- commercial or non-profit purposes. The benefits of a hyphened domain name, should the non-hyphened one you want not be available, are that it has virtually the same effect in SEO as an exact match domain. It may even be cheaper and more likely to be available to register. There are definitely instances where hyphened domain names have been used effectively to gain first position Google rankings for extremely competitive and saturated terms. Another option is to choose a keyword domain. This is a domain name that contains an exact match keyword but adds a prefix or suffix – awesome-plumbers-brisbane(.)com(. )au – for example. Using your local area name in a domain name is very effective because people often use an area name in their searches. In the domain world, shorter is better however. If you can, keep it short and sweet, memorable, and easy to type. Some words are hard to spell, so try to avoid those. When you are selecting a domain name, its a great idea to register your brand domain as well as a keyword domain for SEO (search engine optimisation) purposes. Your brand-able domain name is the one that you put in front of the customer – on marketing material, your website, business cards, etc – usually the name of your business as well. An SEO domain is one that you use to elevate your search engine rankings and which can be redirected to your main domain name. Sometimes it is a good idea to have two websites. The best thing to do is ask your web designer for advice. Call us today on 0418 723 886 for more information.